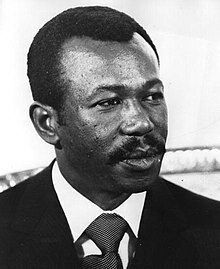 ^ “Mengistu Haile Mariam's Biography”. Durame News Online. (2012年5月1日). http://www.durame.com/2012/05/mengistu-halie-mariams-biography.html 2012年5月6日閲覧。 . "Mengistu defends Red Terror", BBC News, 1999年12月28日. "Timeline of "Red Terror", U.S. Citizenship and Immigration Services, 1989年. "A U.S. Strategy to Foster Human Rights in Ethiopia", by Michael Johns, Heritage Foundation Backgrounder # 692, 1989年2月23日. "Ethiopian Dictator Mengistu Haile Mariam", Human Rights Watch, 1999年11月29日.